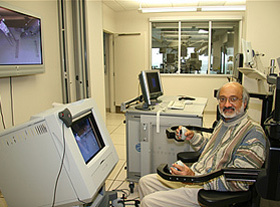 Rajni Patel joined Western’s Faculty of Engineering in January 1999 as Professor and Chair of the Department of Electrical & Computer Engineering. During his time as Chair he provided vision and leadership for the expansion of the Department and its programs. He has shared his experience by serving on the editorial boards of a number of high-quality journals, research grant panels and conference organizing committees. Patel received a BEng in Electronics with First Class Honors from the University of Liverpool, England in 1969, and PhD in Electrical Engineering from the University of Cambridge, England in 1973. He has made outstanding contributions to the design and control of advanced robotic systems. In fact, he has collaborated with the Canadian Space Agency and Bombardier Inc. on applications of advanced robotic systems in space robotics. His standing as one of the foremost robotics researchers in Canada is evidenced by the fact that he was appointed to a Tier-1 Canada Research Chair in Advanced Robotics and Control in July 2004. He has also been a leading participant in CSTAR (Canadian Surgical Technologies and Advanced Robotics), a major multidisciplinary initiative of the London Health Sciences Centre involving researchers from the Faculty of Engineering, the Schulich School of Medicine & Dentistry and the Robarts Research Institute. As one of the founding members of CSTAR he is currently serving as Director of Engineering. During his time at Western Patel’s teaching responsibilities have mainly been graduate student supervision and teaching graduate courses. The letter goes on to say that Patel has put Western on the map in the area of robotics and as a result many high quality students and researchers apply to work in his laboratories.